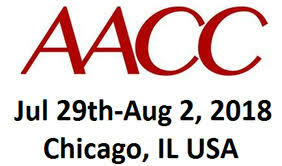 We are excited to announce that once again, iAssay will attending the annual AACC meeting in Chicago. We’ll be meeting with suppliers (current and potential), and also reagent test cartridge manufacturers interested in partnering with iAssay to provide the first universal, handheld point of care testing system with a Health IT connection. To setup a time to get together, please email our Founder and CEO: Lonnie.Adelman@iAssay.net. He can be reached by Skype at lonniea360ji.